Dainese came to Humid to create a trade show booth that would bring a more consistent presentation of the products to the US market. Since they exhibit at multiple shows within the industry they needed a booth that could be reconfigured to fit within different footprints. 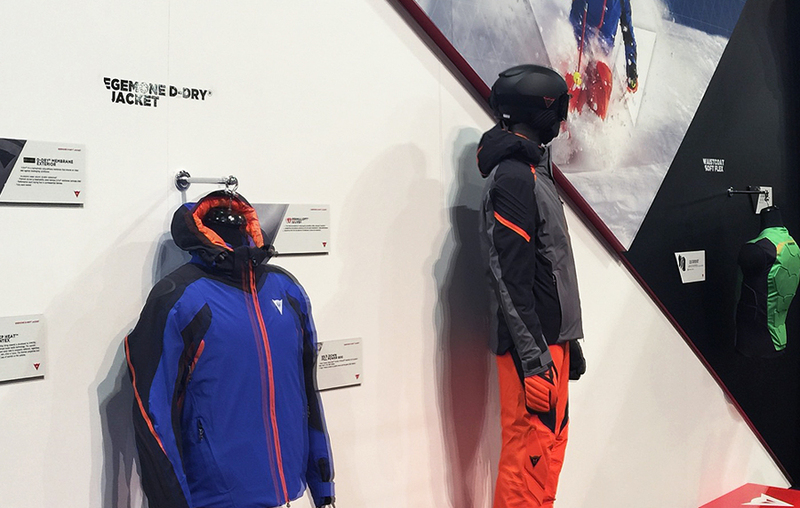 We developed a booth experience that drew its inspiration from Dainese’s brand. This included their visual identity, product design language, and photography. The booth featured high walls with angled edges and offset surfaces for individual product stories. There was also a defined space for meetings and product line presentations, and an overhead archway with product display and branded video content. 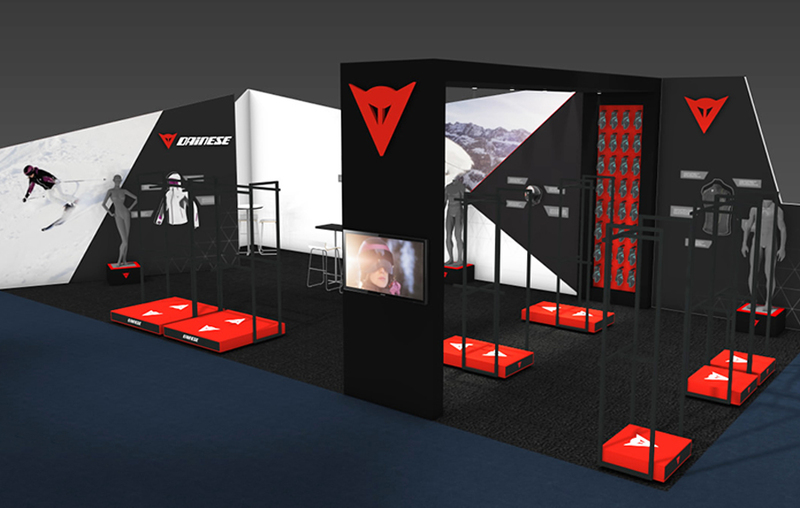 Our team worked directly with Dainese’s marketing team to develop and manage the overall strategy for the booth from concept to fabrication.